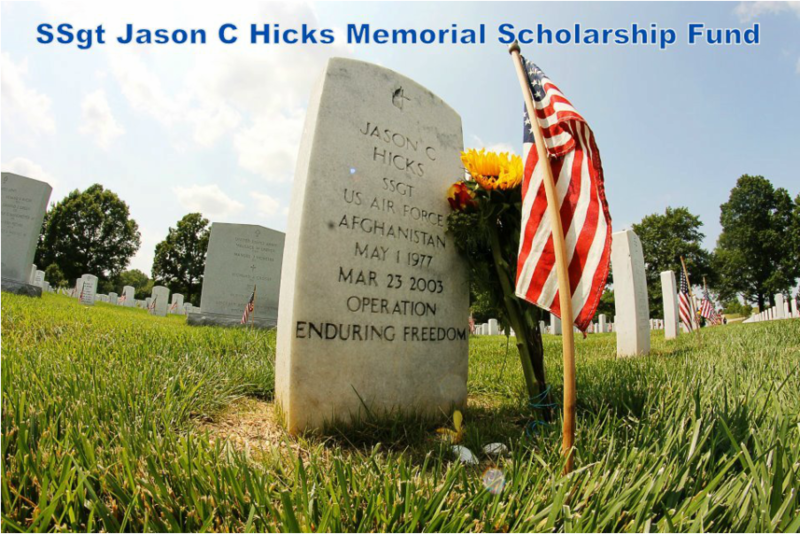 The SSgt Jason C. Hicks Memorial Scholarship Fund was established as a 501(c)(3) Non-Profit Organization following Jason's death in Afghanistan on 23 March 2003, while in support of Operation Enduring Freedom. 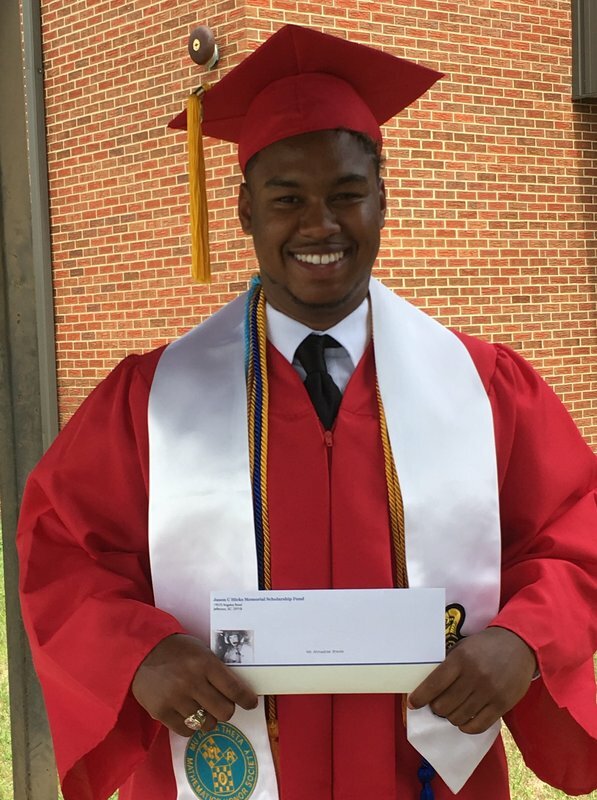 Since 2003, the Scholarship has been awarded annually in Jason's name to a graduating senior from Central High School in Pageland, SC. Any Central High School graduating senior may apply for the Scholarship. Applicants should demonstrate leadership abilities and community service. A Scholarship application for the current school year can be printed by clicking the application link on this site. 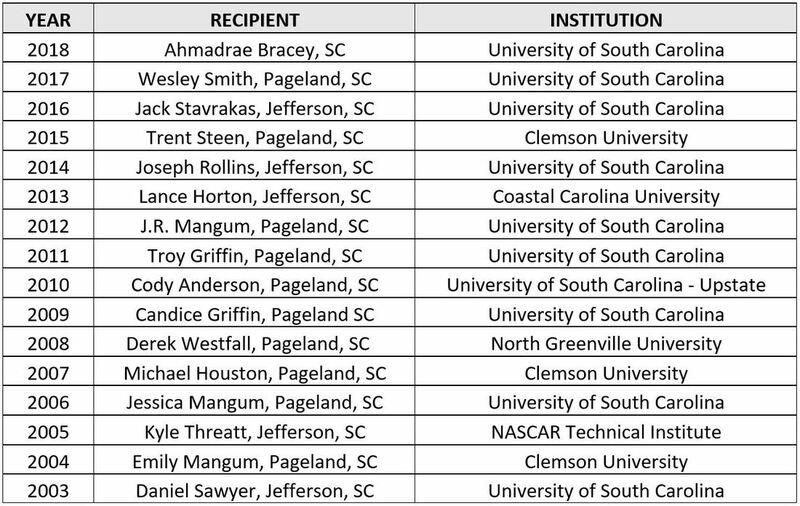 We would like to thank everyone for their generous contributions to the Scholarship Fund. Your contributions help ensure that the Scholarship, as well as Jason's name, lives on. You may continue to contribute to the Fund by mailing your tax deductible donation to SSgt Jason Hicks Memorial Scholarship Fund, 19573 Angelus Road, Jefferson, SC 29718. Please continue to support our troops as they protect us! Ahmadrae Bracey, our sixteenth recipient of the SSgt Jason Hicks Memorial Scholarship. To download scholarship application click the button below. No handwritten written applications accepted! We couldn't do this without the help of our sponsors. Check them out.